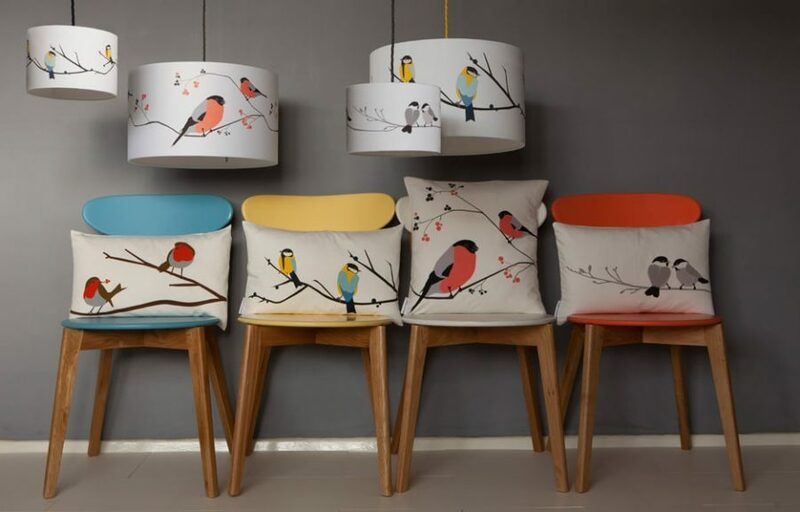 The fabric is screen printed on 100% cotton in the UK and handmade into cushions in Norfolk. 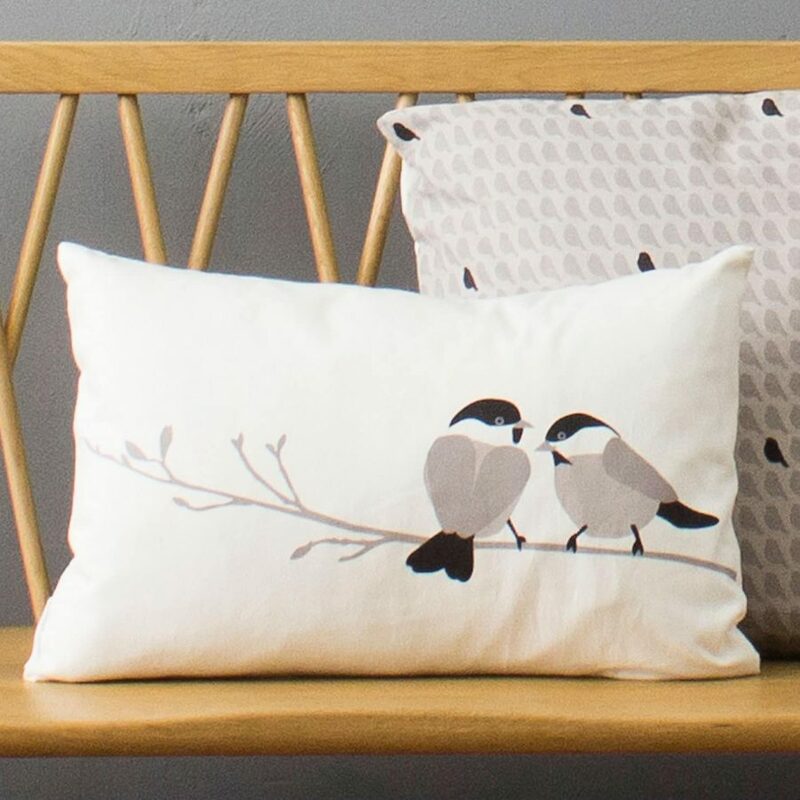 Grey bird wallpaper in modern design with monochrome birds adds an element of scandinavian feel to any room. Elegant enough for bedrooms, living rooms but also cute enough for the nursery. Our luxury feather filled cushions are made in the UK.